Sharon founded Native Escapes in 2007. Ever since then the company has gone from strength to strength. 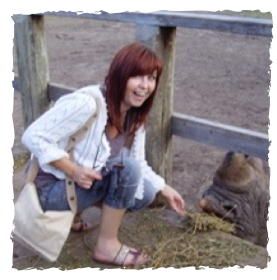 Sharon has nearly 20 years industry experience, but it was a trip to Africa many years ago that ignited her passion for the continent. 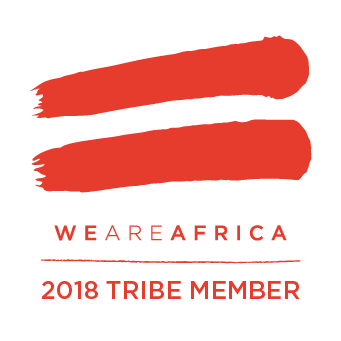 She has travelled widely across Africa and has been fortunate enough to enjoy a number of life-changing experiences there. 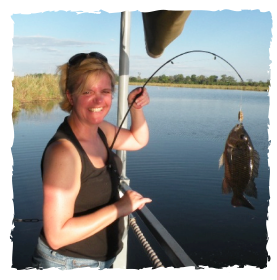 Highlights for Sharon include exploring the Okavango Delta on numerous occasions, interesting light aircraft connections in Zimbabwe and the first safari with her daughter in the Eastern Cape. According to Sharon, Africa is the place to go to be humbled and to put things into perspective. With well over 20 years travel industry experience, Simon is completely hooked on Africa. There is nowhere quite like it for getting into your soul. 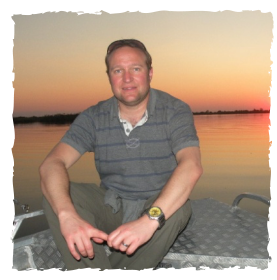 He looks after the website and marketing for Native Escapes, but also has a superb level of knowledge of most of Southern and Eastern Africa and his enthusiasm and patience will ensure you get the trip you desire. Particular highlights for Simon during his frequent trips to Africa include trekking through the Namibian desert and sleeping out under the stars and being charged at by a cranky hippo in Botswana. But in his mind, there is nothing to beat going on a walking safari to get the real sounds and smells of the bush. Marie’s African journey started after spotting an advert in the local paper asking for an assistant to help on a part time basis for a small local company. As a new mother it was a perfect starting point to get back in to the working world. Little did she know that for the next 16 years she would be helping realise people’s dreams and creating lasting memories organising safaris to East Africa. A particular highlight for Marie was sitting on the verandah of a gorgeous Morani tent at Sweetwaters, Ol Pejeta in Kenya. This was her first real encounter with the beauty of Africa.Under a bright starlit sky, a whole host of exotic and strange noises filled the night air, but somehow nothing but peace and tranquillity reined and she was hooked. Tracey is a recent Africa convert. 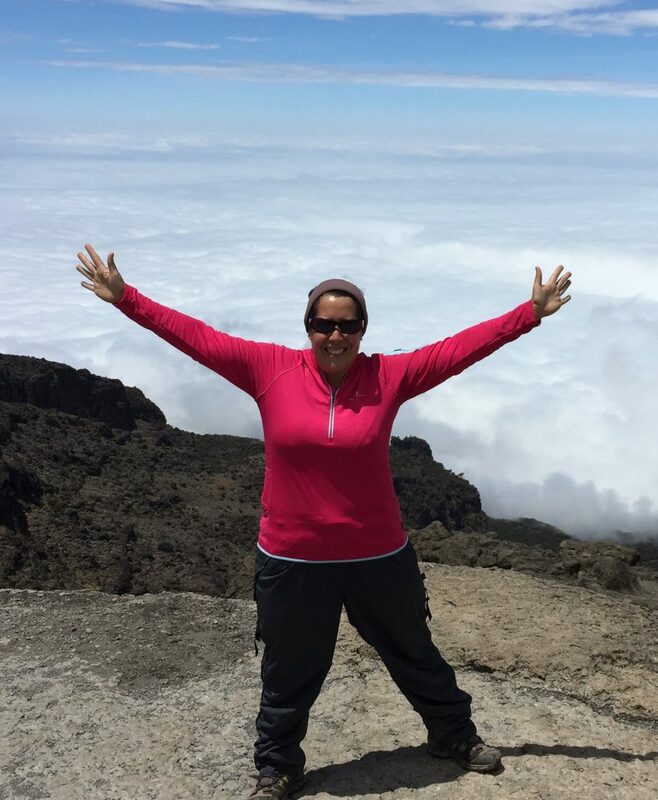 Her first experience was possibly one of the toughest tests on the continent, climbing Mount Kilimanjaro and successfully reaching the summit. The trip left her with so many special memories from the sunrise on the peak to the friendliness of the guides and porters, that she has plans to return – albeit with a far more relaxing trip next time.